Look, its not like I don’t sympathize with the people behind Persona 5 The animation. I do, I really do. The task that they’ve chosen to undertake is… Certainly difficult if not impossible. 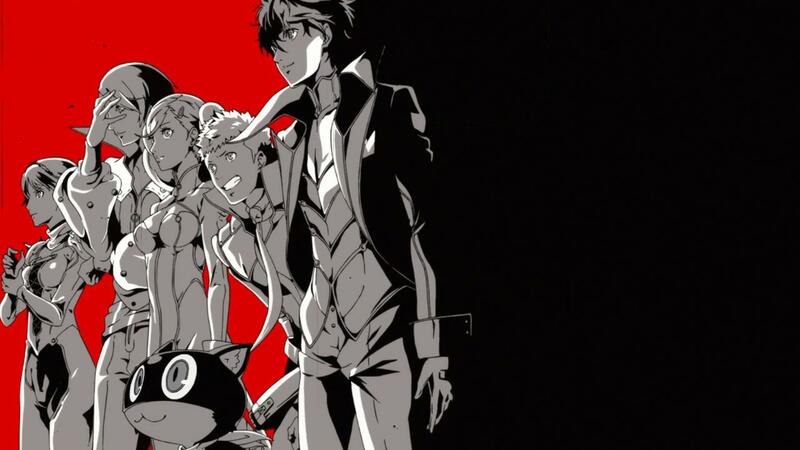 Despite whatever creative chops you may have, despite whatever budget you may have, if you don’t have the TIME to tell Persona 5’s long and intricate story, then its hard to imagine the end product being anything other than disappointing. 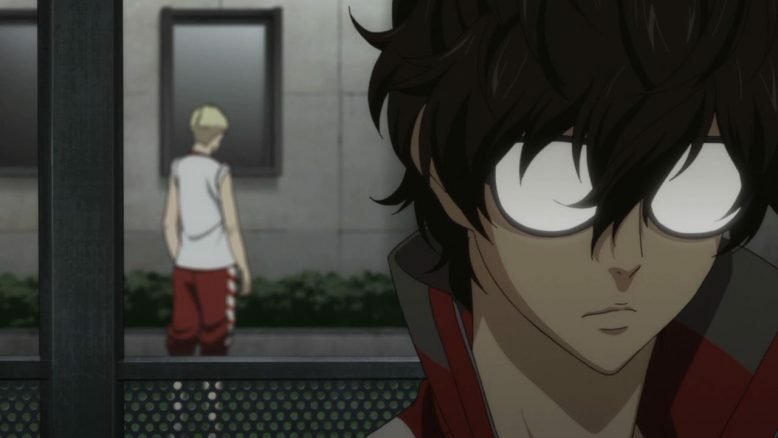 The sad fact of the matter is that Persona 5 The Animation will be remembered as another adaptation that fell victim to the Anime industry’s entirely broken production committee system. Seeing the second episode of this show, its clear that this adaptation’s overall planning is the result of some business type exec calling the shots. The choices and the decisions that I see in this adaptation scream lack of foresight and longer term franchise planning. See, there’s a way to do Persona 5 The Animation right, and that requires splitting up the story into multiple seasons. 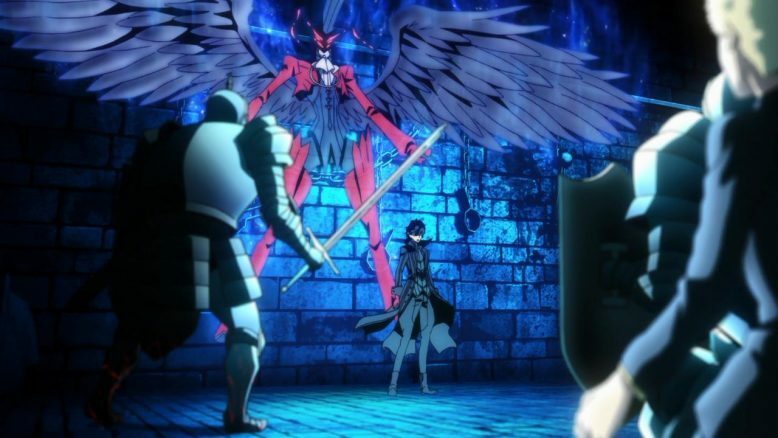 Not just one or two either, because after looking back on my experience of Persona 5 more thoroughly, I realized that each dungeon in the game could easily span 1 cour of an anime series. 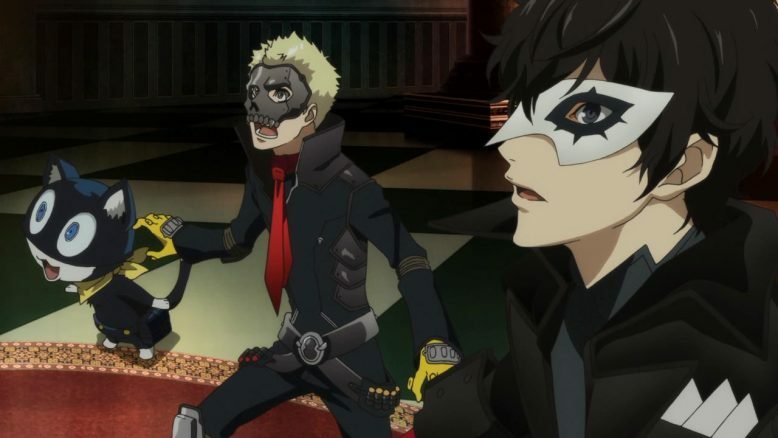 More so than most, however, the current Kamoshida arc is one that has a lot of moving parts, and a lot of build up before the story starts to have Ren, Ryuji and Morgiana fight back. And this week, I could see the show’s story cracking under the strain of how much it had to fit in this week. 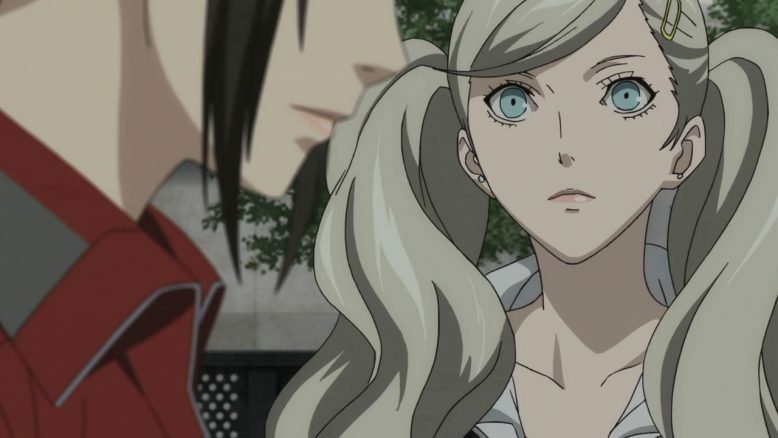 The show had to rearrange stuff because of what it did last week, it had to show us Ren’s first day at school, it had to show us Ryuji’s back story, it had to give us the first nods of what a monster Kamoshida is, and we even had a few moments for Ann Tamakaki in there as well. 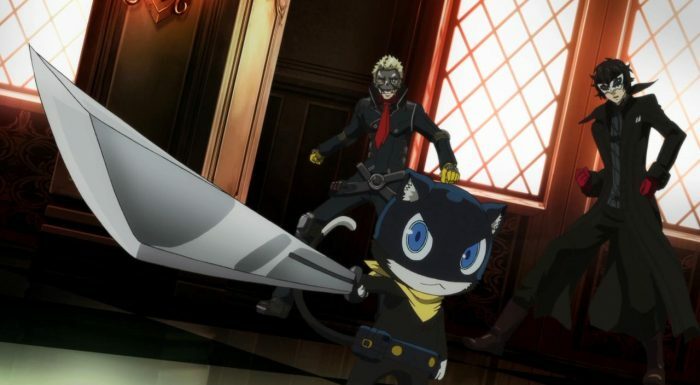 That’s nothing to say about Morgana’s introduction, which was horribly rushed, nor of the world building that was glossed over regarding the Palaces, the shadows and the Persona.Oh and lest I forget, we also got Ren’s backstory shoved into the last few moments as well. The problem, if it even needs to be stated, is that none of these exceedingly important plot points are given their due in the episode. Regardless of the Good animation and production values for the show, it just can’t keep this pace up and deliver a meaningful story. But I suppose I said that all last week, and while nothing’s changed, I did want to follow up this week because I noticed something. Something that, quite honestly, has me really sad and depressed. 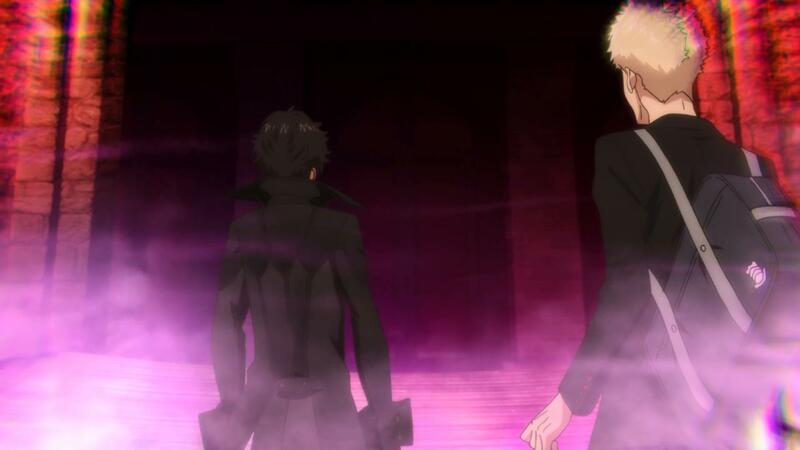 This week, as I saw Ren and Ryuji interact, I began to see the potential of a proper Persona 5 anime adaptation. I saw the one thing that I think the anime series can improve upon; the story’s protagonist Ren Amamiya. See in the game, there’s a sort of silent protagonist quality to the leader of the Phantom Thieves, where you can not only name him whatever you want, but you can adjust his dialogue and responses at various points in the game. For a video game that emphasizes on the fantasy of playing a high school kid that’s also a phantom thief with magic powers, its a necessary mechanic. As a result, Ren in the game never quite feels like a fully realized character. The anime? The anime can provide that final piece to the story, and give us a character that voices and reacts to everything in the way a traditional protagonist does. 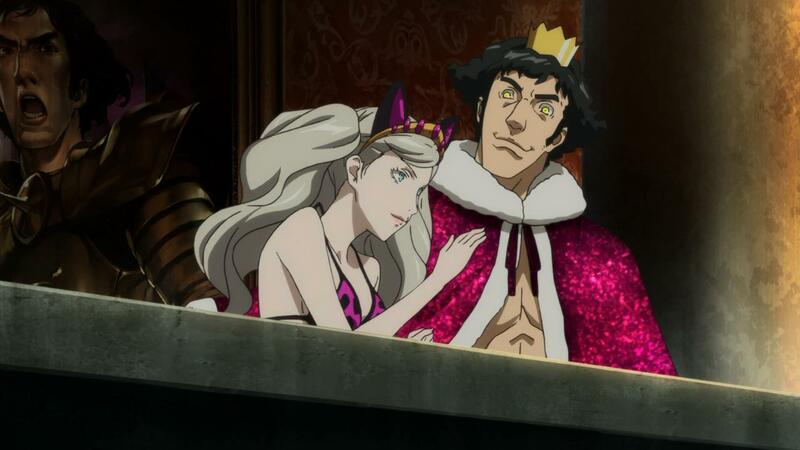 That’s the thing that I think I really wanted to see from a Persona 5 Anime adaptation. Just how much better does the story get when there isn’t that “choose your own adventure” element to the protagonist. Unfortunately, we’ll never know, because Persona 5 The Animation is a much lesser experience and story than what’s in the game. I’d almost argue, in fact, that if you haven’t played the game then this adaptation is really not for you. The fact of the matter is that if I hadn’t played the game, and if I didn’t know all these plot points decently well, then I’d be really lost and confused right about now. And the experience, of watching Persona 5 The animation, for the second week in a row, was that of a haze. I felt like the show and its events just blurred past me, without giving me a second to take any particular part of the story in. Added to that, is the problem of a serious loss in translation. See the game had this superb graphic, comicey visual style that it featured in the game’s menus, interface and even some of the attack animations. The show, when it tried to use that same “All Out Attack” animation I mentioned earlier, just doesn’t do a good job. The image itself, the drawing, the graphic design, it all felt like a cheap imitation of the near perfect finesse of the game’s same graphics. Which, almost makes the inclusion of said graphics and design pretty darn bad. I mean… If its not done right, then why bother? Sadly, even the Intro and Outro Credits for the show, have the same issue. Its clear that the animation team and production staff do not have the same skill and ability that the game’s staff did. So you can really see how awkward and hamfisted the implementation of that visual style is, even in the intro and outro. I mean, just comparing the game’s Anime cutscene intro to the show’s is a recipe for pain and disappointment. There’s just not enough effort and talent being put in here. And in the end, the big realization here is that the Production committee that’s running this project, just doesn’t have a handle on what it has. 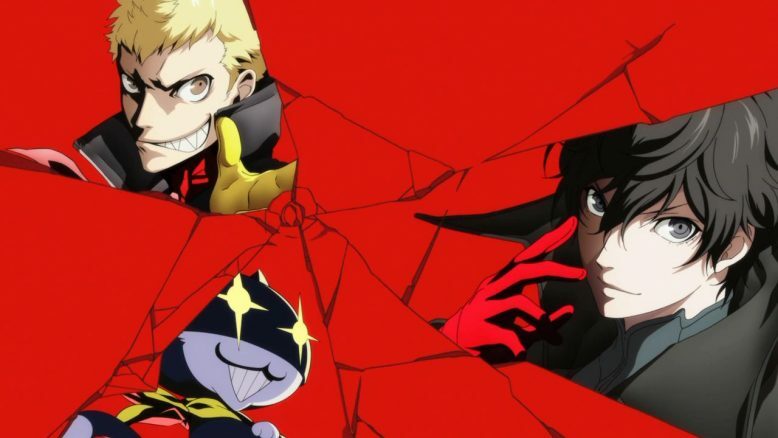 Persona as a franchise, is very popular in Japan, and so it baffles me that the production committee here, doesn’t see the opportunity to turn this anime into a franchise and merch mega hit. Doing Persona 5 the Animation right, featuring Kamoshida’s arc as the first season, and spacing out the show, would’ve made this an adaptation to remember. It would’ve made everyone involved some serious amount of cash, but instead of investing the right amount of money into this, the people involved with this show are just trying to make a quick buck. So yeah, if you enjoy Persona 5 the Animation than I salute you. I certainly can’t, and it really hurts me to see such a masterpiece of a story being run through the ground like this. A part of me really wonders what this show could’ve been like with a studio like Production I.G or ufotable at the helm. I don’t blame the director and A-1 Pictures for what they’re doing here, they just are in a very tough and impossible situation, one that was definitely outside their control. To conclude, I think this will be my last Persona 5 The Animation post. If you found the show even remotely intriguing, then I recommend dropping the show entirely, and just picking up the game. You’ll get a much better experience, and you’ll honestly have the time of your life. As for Persona 5 The animation? Well… Its honestly sad that the show is going just be another rushed, sloppy game adaptation. Maybe I’ll do a check-in or a full series review when the series concludes, but I think these two episodes may be enough for anyone to draw a decent enough conclusion. The damage has been done, and I don’t think the show can recover from the foundational missteps its already made.